We offer hope, help and healing for eating disorders through a whole-person approach. 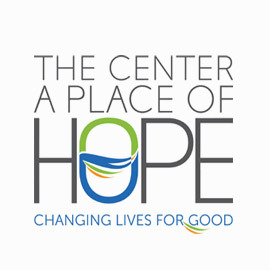 The Center • A Place of HOPE is a leading national eating disorder treatment facility for those suffering with anorexia, bulimia, binge eating disorder (compulsive overeating), food addiction, emotional eating, recovery after bypass surgery and other disordered eating. The Center has over 25 years of experience successfully treating eating disorders. With our word-class treatment team, we utilize a whole-person approach to care that has proven to be very effective in helping those struggling with anorexia, bulimia, compulsive overeating and other eating disorders. We specialize in treating co-occurring disorders as well. A faith-based, Christian track is available to all those seeking care. While it is not mandatory, we believe one’s spiritual walk is a key element to their overall well-being and health. The Center • A Place of HOPE has ordained clergy on staff to lead individual and group sessions focused on Christian growth and renewal. The Center is located near waterfront beaches and offers all-inclusive privacy. The Center has a variety of excellent housing options available for your stay with us. Lodging, including housekeeping, laundry and linen services, is included at no additional cost. Fully equipped kitchens are also provided. Whole-person care is a trademark of the treatment provided at The Center • A Place of HOPE. We utilize a world class team of medical doctors, holistic doctors, licensed counselors and therapists, nutritionists, dietitians, fitness specialists and ordained clergy to developed individualized treatment programs for each person. CEDS. Fully licensed Medical, Mental Health, and Chemical Dependency facility. The Center • A Place of HOPE accepts most insurance providers, including many not included above, whether in network or out of network. It is the specific plan type that determines whether the member has the benefits for treatment at The Center • A Place of HOPE. I wanted to understand the reasons I kept hanging on to my eating disorder when it caused so much destruction in my life. Also, to dig deep to find the core reason that I had such self-harming behaviors. My treatment team was absolutely amazing. It definitely was not easy getting through these things, but with their knowledge, wisdom, care and support I was able to overcome obstacles that I never really thought I would be able to. My primary goals in coming here were to break my eating disorder habits and learn healthier ways to cope with stress. My treatment team was wonderful! I learned something from every one of them; they showed true compassion and care. And my medical team was fantastic! They encouraged me and cared about the whole me, and not just the medical side.